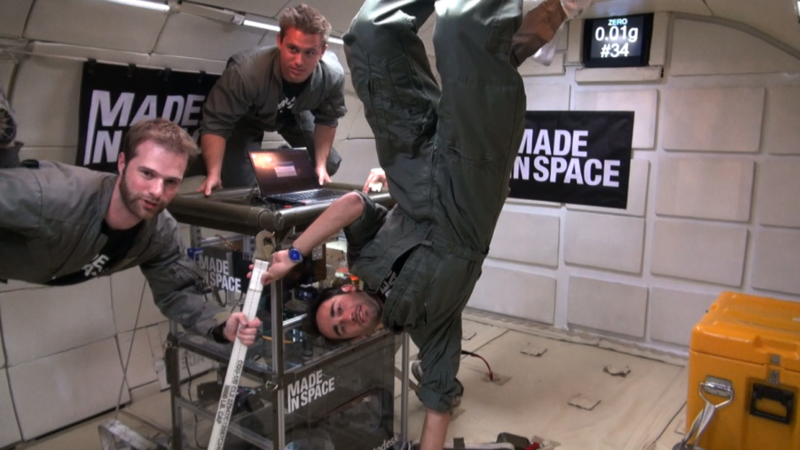 3D printing in space: The next revolution? 3D printing is very useful for aerospace applications on many aspects. Indeed, it could become a major asset for space travels in the future. On Earth, research is already evolving quite fast. Step by step, researchers are also finding different applications to this cutting-edge technology in space. 3D printed parts are sent to space, but some technologies, able to 3D print directly in microgravity or in the vacuum of space are also developed. Additive manufacturing in space is a real challenge, it requires new technologies and resistant materials. In this blog post we are going to see what it is actually possible to do in space today. We’ll see the different challenges of 3D printing in space regarding the conditions, the machines and the materials. You’ll learn about the last experiments and the most promising technologies developed in this sector. Finally, we’ll give you a sneak peek of the future of 3D printing in space, with some impressive projects that could emerge in the upcoming years. Why is it interesting to 3D print in space? First of all, why should we use additive manufacturing in space? Just for research and experimentations? Actually, additive manufacturing is very interesting when it comes to the aerospace field. 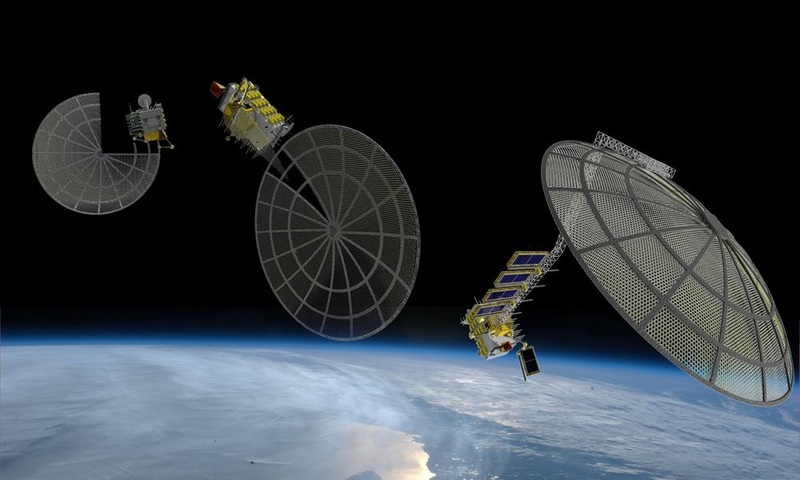 3D printing directly in space could be an amazing opportunity. There are two different axis of applications, two different kind of benefits with this technology: 3D printing inside of the station and 3D printing outside of the station. Inside of the station, it will help significantly the astronauts in their daily life in orbits during space explorations. For example, when something is broken, and they need to replace a part, it can be long and expensive to send them what they need. They could simply 3D print it. It is the same thing if a tool is missing. It would be so much easier and time-saving if they could just 3D print their screwdriver when they need it! Nanosatellites, as you can guess by their names, are smaller than traditional satellites. Thanks to their cubic shape, they don’t take much space inside of a rocket. They offer many possibilities, and one of them is actually to create 3D printed objects in space. It is one thing to work with a 3D printer inside a spatial station, but doing additive manufacturing outside of the station is a new challenge, that could change the working methods of the astronauts. Why is it such a challenge to 3D print in orbit? Additive manufacturing in space can’t use the same process as additive manufacturing on earth. It is just impossible to use a traditional 3D printer with zero gravity, the machine has to work in a totally different environment. The first thing is, when 3D printing in space, the part has absolutely no support, it’s not possible to put down the part on the build tray. The machine has to shape the part literally in the vacuum of space. The printing technology in orbit is a complete different experience. The printing material and the machine that is used have to be more resistant, with different characteristics to last a long time. A 3D printed part, whatever its use and even if it is printed on Earth, has to be quite resistant to evolve in space conditions. Thus, the printing material really matters. Different experiments are actually developed thanks to additive manufacturing. Here, we’ll focus on two specific and promising projects, aiming to create 3D printers able to 3D print directly in the vacuum of space. We’ll talk about the SpiderSat and the Archinaut. Spidersat: What is it, how was it built, and how does it work? Spidersat is a nanosatellite, developed by the students of the University of Paris Sud (IUT of Cachan) based on an idea from the CNES. The professor Pascal Martinelli already worked on an impressive project with his students: the Eyesat. If you want more informations on this satellite, you can check our previous blogpost about Pascal Martinelli’s work on the Eyesat. These nanosatellites are part of the JANUS project, a program promoting spatial technology and allowing students of more than ten french schools to work on nanosatellites. 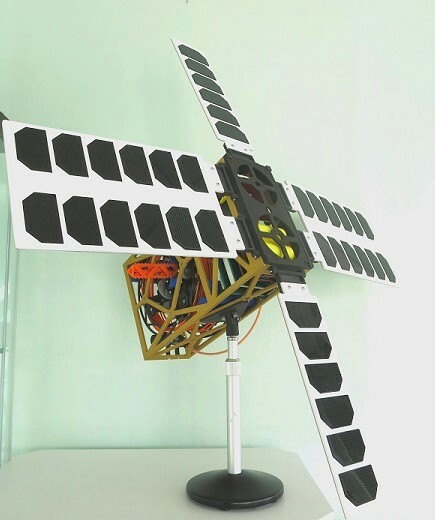 Spidersat is a nanosatellite conceived by Pascal Martinelli and his students. He has been working on it for three years now. At the beginning, the aim was to create a functional prototype, but it would take a lot of time. For the moment, it is more practical to work on 3D printers that are functional in space, working with the FDM (Fused Deposition Modeling) technology. As you can imagine, dealing with powder to do some Selective Laser Sintering without gravity could quickly become a real nightmare! This prototype is already impressive, and shows all the mechanical parts of the nanosatellite. It has been created thanks to 3D printing, with our online 3D printing service. All the parts, except the solar panels and the aluminum structure, are created thanks to the additive manufacturing technology. Pascal Martinelli stated “I’ve been working with 3D printing since 1998. Additive manufacturing is the best way to give life to ideas. You can transform a CAD model into a physical object quite quickly and at a lower cost.” Regarding the CAD software used for this project, Pascal Martinelli said that Solid Edge was appropriate, quite similar to Solidworks, but more focused on a mechanical aspect. On the picture below, you can see the triangular profile created with FDM technology. It is a piece of the final part printed by the SpideSat. The tooth will be linked to a cogwheel, they will make the part go out of the machine. It will create new tooth gradually which are here to pull out the part. On Earth, there is gravity, the part can lay on a build tray, that will progressively go down during the printing process. Here’s one major problem: if the part needs tooth to be pulled out, how can the printing process start in orbit? Unfortunately, it can’t. That’s why, for the moment, the very beginning of the structure has to be printed on Earth. Then the rest of the process works perfectly well in space. “SpiderSat could be able to manufacture a continuous part of 20 meter long – but we could be able to create longer parts in the future, it just depends of the reservoir!” states Pascal Martinelli. The construction of a functional Spidersat could come soon, we’ll keep in touch with the IUT of Cachan and show you the future demonstration of this project in an new blogpost. Made in Space is a California-based company, that already worked with the NASA to create a 3D printer inside of the International Space Station (ISS). Made in Space is actually working on a new 3D printer, Archinaut, that is able to 3D print an entire satellite outside of the station. It will be launched in 2018. Just a little bit of patience, and we will be able to see the result of their experiment. 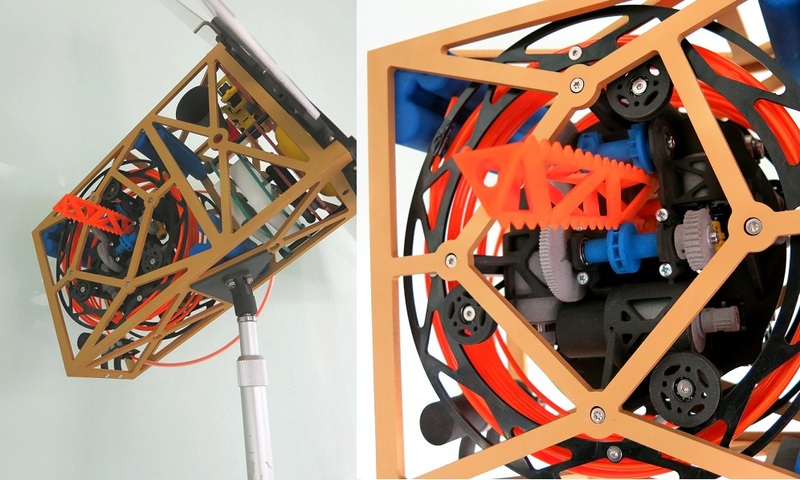 This impressive machine is composed of a 3D printer, and robotic arms to assemble the parts of the structure. Moreover the advantage of this machine is that it is dedicated to large-scale manufacturing. It could create parts that are not even transportable! Thanks to this machine, gravity is totally out of the equation, new satellites could be built directly in space. The Archinaut system could even repair existent satellites. This ambitious project is a real step forward for the additive manufacturing technology. What are the 3D printing materials that we can use in space? Is it possible to use 3D printed plastic in space? Actually yes, but you can’t use all of them. For example, PLA and PVA are not compatible with additive manufacturing in space, because those kind of plastic are not resistant enough for space conditions. To be printed in space and create a tool or a part of the structure of a satellite, the printing material has to be quite resistant to low and high temperatures. For their experiment with the Archinaut, the team of Made in Space is planning to use a new kind of plastic. This new material is made of polyetherimide/polycarbonate, known as PEI/PC. It is actually several times stronger than the traditional plastic printed inside of the International Space Station. Polyetherimide and polycarbonate are two different thermoplastics, mostly used in engineering. These are very resistant plastics and they are easy to model, which is particularly good for 3D printing, to create the shapes that you need with a great precision. Also, these materials have a great thermostability and a good resilience, perfect to experience the space conditions. “In a vacuum, [PEI/PC] is not going to [emit particles], it’s resistant to the UV environment, it’s resistant to atomic oxygen, so it can perform actual uses in space,” says Matt Napoli, vice president of Made In Space. 3D printed metal in space: What can we expect? As it’s not possible to 3D print the same way on earth and in space, researchers had to develop a brand new technology. How it is possible to 3D print metal without gravity? These researchers are using a 3D printer based on the binder jetting technology. And instead of gravity, a powerful jet of air is used to stabilize the part. This process has been tested in the ZERO-G Airbus A310 from Novespace. There are many parameters to take in account: for example to prevent the powder from escaping the facility. The layer application process must take place in a hermetic enclosure. AMAZE project (AMAZE for Additive Manufacturing Aiming Towards Zero Waste & Efficient Production of High-Tech Metal Products) is also working on a project to 3D print metal parts. 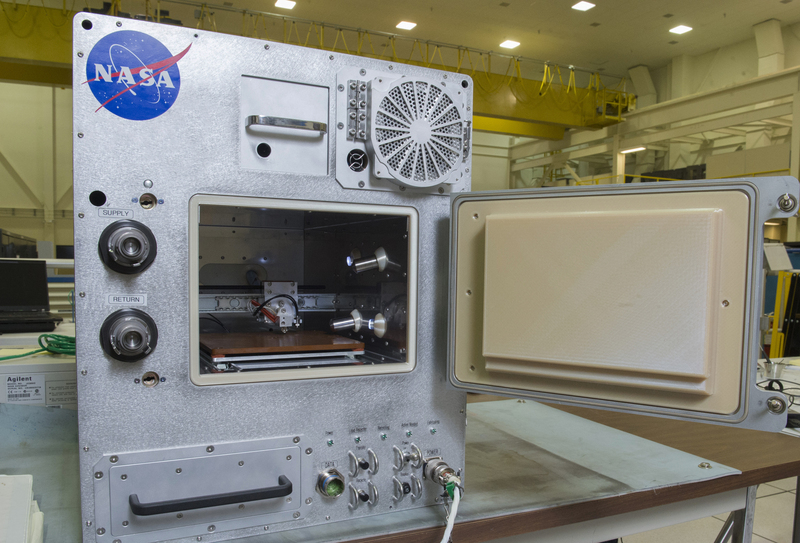 Their will is to put this metal 3D printer in the ISS. It would be the first time that a 3D printed metal object could be created inside of the station, in space. This project is unveiled by the ESA (European Space Agency). It will allow to create complex 3D printed parts that couldn’t have been created with traditional manufacturing. The will of the ESA is to be able, in the future, to 3D print big parts, like an entire satellite in one part. Thanks to this 3D printing process, no need to assemble the parts. It is perfect to reduce the costs, and it can be helpful for little parts for engines, but also for big parts. For example, they printed a 2 meter long part for wings. One of the main advantages of metal is the possibility to print parts that are extremely resistant to heat. At least, parts can resist to temperatures up to 1 000 degrees. For example, parts in tungsten were conceived. It is an extremely heat-resistant metal. Parts of the ITER Tokamak, a nuclear fusion reactor were developed with this impressive metal. Also, the ESA mentions that 3D printing metal is an efficient solution to reduce metal wastes: you only have to get the weight of metal that you need to 3D print your object! In the future, they aim to be able to recycle the 3D printing material. It would be easier to use materials like tungsten, that is extremely expensive, but that could allow them to initiate impressive 3D projects in orbit. We can already see how incredible and helpful metal 3D printing can be on Earth or during space explorations. This technology will become more mature in the future of 3D printing, and will continue to surprise us. For the moment, researchers are still looking to solve some problems to get perfect industrial parts: the major problem is the porous aspect of the final parts, due to air bubbles. There are still some imperfections but it will surely be overcome soon! Some experiments already occurred inside of the ISS, regarding the additive manufacturing technology. 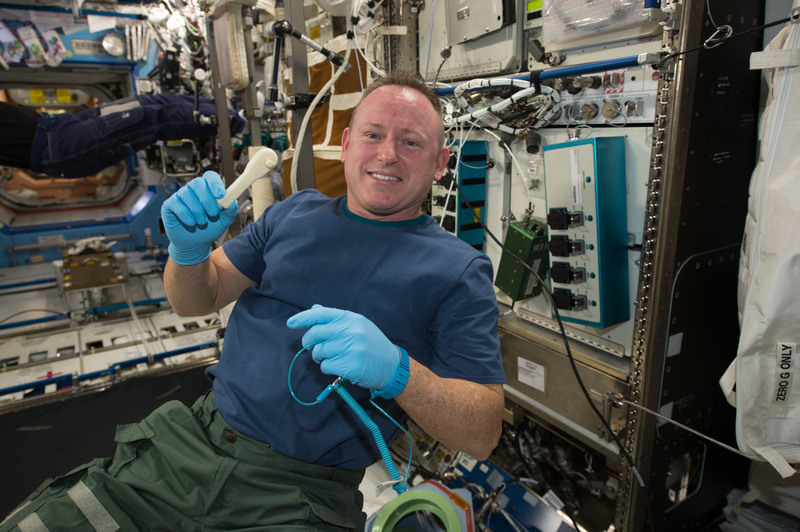 Little by little, 3D printing is becoming a must-have element inside of the station during space missions. Why is this technology so helpful in space? In 2014, the NASA did what they called the Zero G experiment, with Made in Space. Thanks to the 3D printer they made for the International Space Station, astronauts are able to 3D print objects by themselves. The major difference with this printer and technologies such as Spidersat or Archinaut, is that this 3D printer doesn’t have to experiment extreme conditions like pressure, vacuum or the temperature changes of space. This project emerged because of a problem: astronauts needed to find a way to get their tools in orbit, without transporting it. Moreover, sending them material is quite a long and expensive process. It is actually a problem when they just have to fix a single element, or just need a specific tool that they could perfectly create by themselves. But it could also be a way to get medical devices on board when someone needs it. It is simplifying quite a lot of situations. Julielynn Wong founded 3D4MD, a company offering medical devices thanks to new technologies, in an area where they don’t have any access to it. She tried to use the 3D printer of Made in Space and it is quite success. It is good news for the astronauts, they won’t have to wait to get health care onboard. The aim of this experiment was to see the impact of the environment and of microgravity on the additive manufacturing process. It was also to show that astronauts could print room wrenches and screwdrivers as well as real functional satellites, and life support systems. To go further: What is the future of 3D printing in space? NASA will certainly use 3D printing more frequently in the future, for all of the reasons that we saw previously in this article. But there are other incredible projects that might be feasible in a little time. The Refabricator is a project which will be experimented in 2018. This a machine able to print, and to recycle the printing material. It will allow to recycle plastic and waste. It will be a great help to reduce the costs of space travel, and the impact of those travels on the space environment. The creation of a 3D printed base on the moon is actually a project of the ESA. The aim is to build a little city in regolith on the moon, thanks to 3D printing. This project will eventually start in 15 years. Humans will be able to walk and 3D print on the moon. Lunar Quattro is a project developed by Audi with additive manufacturing. It is a robotised vehicle, that will be sent to the moon to take 360° pictures. 3D printed rocket engine are already tested by companies like SpaceX, showing all the capacities of additive manufacturing. Soon, it could be even more common to 3D print an engine, even for a rocket! It could be possible to create 3D printed rockets, or partially 3D printed rockets. If you want to know more about space and 3D printing, you can check one of our previous blog post about how 3D printing technology will change space travel. The next step for space-based 3D printing is now to build huge structures in space, thanks to brand new technologies, and apply what was already tested in parabolic flight, in orbit. A lot of promising experiments will be made in the upcoming years, and we will keep you informed of the results. To get directly all the 3D printing news, don’t forget to subscribe to our weekly newsletter.